A wide range of high quality Rhinehart and Mackenzie targets are set in various hunting scenarios. Only one arrow per target is allowed unless mulligans have been purchased. A maximum of two mulligans and one or two doe tags may be purchased at registration for an additional $1 each. As an unmarked shoot, you have to estimate the distance to the target yourself without the assistance of a range finder. This is a difficult and challenging aspect of these shoots, so don’t let your shooting partners know what you think the distance is! Posted on November 27, 2017 by Patty Koutz. to Honor Our Local Military! All branches of the U.S. Military, active duty & retired, shoot for FREE!! Coast Guard and National Guard! 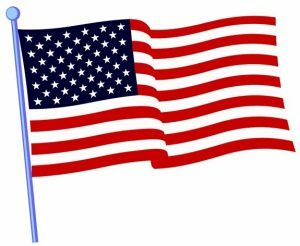 COST: All Active Duty & Retired Military (with ID): FREE!! Posted on October 29, 2017 by Patty Koutz. This is a double-duty work party! For anyone interested in making and replacing target bales, the bale making will commence at 7am. The more leisure painting party will commence at 8am. 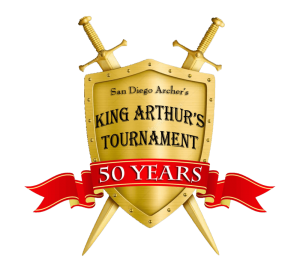 Our 50th Annual King Arthur Tournament is rapidly approaching on Father’s Day, Sunday, June 18. There is still work to be done to prepare our tournament grounds and targets for the visiting opponents! Our legendary King Arthur Targets must be gilded, a.k.a. hand-painted, by any and all talented (and some not-so-talented) volunteers. If you have any special talents that might be helpful in our preparations, please let us know. Posted on May 24, 2017 by archer1.